SAFETY. Safety is everyone's business. Executing a competitive but SAFE IM Boxing program is our goal. a. Insuring that all Cadets-in-Charge and coaches of intramural teams are provided copies of this document, and that they understand its contents. b. Insuring that each Cadet-in-Charge of boxing, the coaches and officials have received and are familiar with the specific instructions presented in the DPE Intramural Boxing Manual. c. Insuring that each Cadet-in-Charge distributes and obtains the completed injury screening forms (Appendix A, Form 4) prior to any bouts that take place in intramural competition. d. Insuring that DPE instructors assigned as Sport Educators are aware of their particular responsibilities as well as those of the Cadets-in-charge and other individuals in the intramural boxing program. 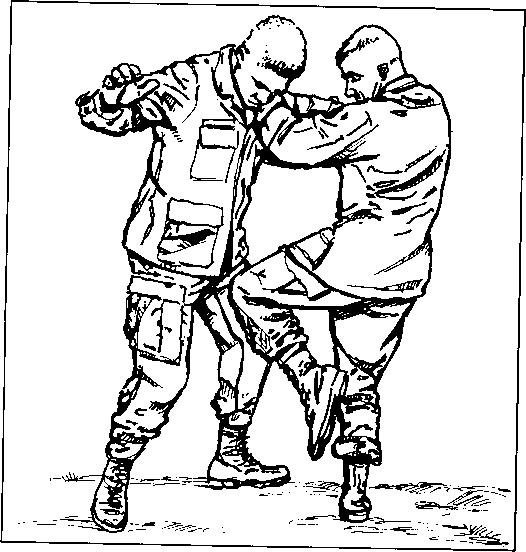 e. Insuring that instructors and Cadets-in-Charge understand that no bouts or contact sparring will be practiced without the presence of a DPE Sport Educators. a. Insuring that Cadets-in-Charge and coaches are conducting training and have training plans present in accordance with the procedures outlined in the boxing manual. The cadets are responsible to run the program. b. Insuring that they closely monitor every training and record bout to insure that proper safety procedures are being followed. They will intervene and stop bouts as necessary using the same criteria of this document. c. Checking to insure that pairings for sparring are made in accordance with the weights and ability of boxers. NOTE: CICs and Coaches are responsible for insuring that weight mismatches do not occur in practice as well as during competition. d. Reporting to the Head of Competitive Sports any individual who attempts to pressure, influence or even criticize cadet referees or Sport Educators during the progress of any record or practice competition. e. Checking with the Cadets-in-Charge, coaches and DPE trainers after practices to determine if there have been any injuries that day. f. Insuring that coaches are checking equipment prior to practices and record bouts, to include, as a minimum, gloves, headgear, mouthpieces, protective cups and handwraps. g. Carefully observe ROC to ensure boxers do not take any unnecessary punishment that jeopardizes a boxers safety. h. Work with DPE trainers to check cadet boxers before and/or after a record of contest and practice spar session i. Checking to insure that the boxing area has been policed and is free of obstructions. a. Monitoring, recording and reporting accountability. CIC's will ensure companies have the required number of boxers and are following eligibility rules. Coaches will submit attendance reports to CIC's who will spot check and forward to the RAO. b. Ensuring all cadets complete an injury screening form (App B) prior to making any contact with fellow boxers. c. Ensuring that all cadets have a minimum of one sparring session (2 60 second rounds) prior to their first record bout. The date of this sparring session must be recorded by the DPE trainer. d. Inventory and account for all boxing equipment in each of the boxing rooms. e. Monitor schedule for all practices and record contests. f. Appoint a "clean-up company" and monitor the cleaning of the boxing rooms after practice. a. Insuring that every cadet on their team has successfully completed 4th class boxing with a grade of "C" or better. b. Insuring that no member of the team is forced by fear or unit pressure to box. c. Screening members of their teams for injuries or medical problems in accordance with the guidelines provided by the Boxing Course Director or intramural monitors. (Form 4, Appendix A, depicts the IM screening form to be used by coaches). d. Insuring that their teams understand that no boxing or sparring takes place outside of the ring, without protective equipment (headgear etc) or without the presence of a DPE instructor monitor. e. Insuring that all injuries sustained in Intramural Boxing are reported to the DPE Athletic Trainer immediately. f. Checking their team members on a daily basis before and after practice and record bouts to insure that no medical problems exist, and that cadets are physically capable of participating in the activity. g. Reporting to the CIC, DPE Sport Educator and DPE trainers all injuries or medical problems that surface at any time prior to, during, or after record bouts or practice. h. Maintaining the practice area free of obstructions and movable objects that might cause boxers to trip or be hurt. i. Checking equipment prior to bouts for serviceability and fit. Headgear must be worn, straps in place, and properly fitted. Gloves must be well padded, free of compressed spots, and serviceable. 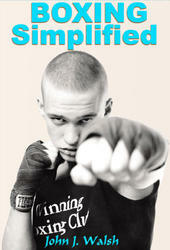 Cups, handwraps, mouthpieces, proper shoes must be worn. Sport Educators will be informed of any gloves that are of questionable serviceability. 3) have made weight prior to boxing a ROC.